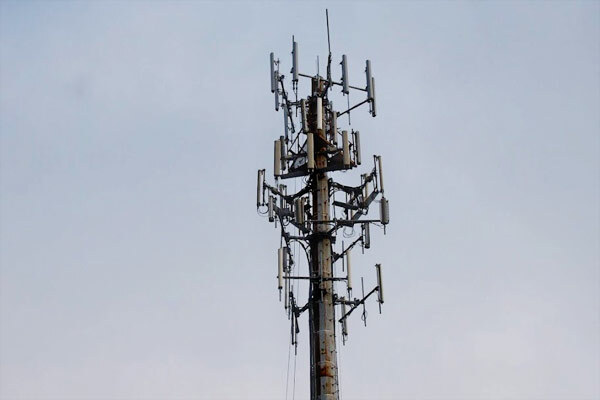 Have you ever wondered how the wireless carriers choose the locations for their cell phone towers? The wireless carriers don’t throw a dart at a map. These installations are rather costly and time consuming to install, so a lot of thought and planning goes into putting them up. There is a formula that the wireless carriers tend to follow when choosing cell tower locations. This includes growth, capacity, and reception, as well as a handful of other important factors. Solid Signal is happy to provide a closer look at this formula as well as more information about cell phone towers near you. … Let’s discuss the two types of cell phone towers. The first are typically called “ground structures.” These are the towers that are built from the ground up, and typically are held in place by guy wires. These installations also include some type of building that houses the equipment needed to power and operate the tower. Generally speaking, these ground structures require at least 1,500 square feet of ground space. Each provider likely has its own list of conditions for the ideal site. Many wireless providers mount cellular antennas onto commercial buildings, municipal structures (water towers, etc. ), and other facilities. You’ve probably seen a few of these installations near your home, office, or route between these two locations. (There’s a large water tower down the road from Solid Signal headquarters that houses the antennas of several cellular providers.) Like ground structures, each wireless carrier has a list of aspects they look for when choosing this option. Drive through any city, town, or hamlet and you’ll see an abundance of cellular towers or an absence of them. It seems to be one or the other these days. With the wireless providers scrambling to keep up with the demand, I predict there will come a day when areas with little to no cell phone towers will be considered a rarity. If you’re unhappy that the area where you live or work doesn’t have optimal coverage, there’s a good chance your wireless provider is already working on it. Why? Because these companies won’t stay in business long if they don’t increase coverage to all their customers. Growth: Wireless carriers want to place cellular towers in areas that don’t have coverage. This lets each company expand its coverage across each state and the country as a whole. Capacity: Each cell tower adds capacity, which lets the carrier handle more calls in areas with overloaded towers. Quality: Carriers want to put cellular towers in areas that struggle with poor reception, dropped calls, and missed texts. Is the location large enough to house the company’s base station or generator? What are the overall construction cost estimates? Will it be easy for contractors to access the equipment? Can the structure support the carrier’s equipment and any future equipment additions without costly upgrades? Can a lease be negotiated with the landowners? What are the monthly lease costs for the structure? Does the area allow for a high cellular tower to be built? How close will the tower be to residential areas? Are there any zoning restrictions for the area being considered? The factors listed above give you a good indication of what the wireless providers look for in potential locations. Here are some more details about how these factors are actually put into practice. Generally speaking, carriers first place towers in densely populated cities with many daytime workers. These people tend to need a lot of minutes, and the providers want to meet that demand. Minutes of use or MOU is important to wireless providers. After areas with workers are served, carriers tend to raise new towers in places “bedroom communities” and other rural areas. People who live out here need enhanced coverage day and night. The providers also want to increase coverage in places with heavy traffic, such as highways, state roads, and high-traffic local roads. People need and expect cell coverage wherever they are and the providers understand this. So, after all that educational material, it all comes down to that? We don’t blame you. It’s natural to want to get rid of dropped calls and missed texts. The thing is, we can’t answer that question. Each wireless provider has its own installation strategy and timetable. You probably won’t have to wait too long for a tower to come to your area. These carriers are competing against each other for your dollar. This means they can’t afford to let an area go uncovered for too long, especially if another company plans to place a cellular tower there. If you really need to know, you might try contacting your local permit office or planning commission. When the providers want to put up a tower near you, they usually have to go through some type of local legal process. The folks at your permit office or planning commission might have information about who’s applying for what. As always, your local laws regarding the release of this information to the public can and will apply. It doesn’t hurt to try, though. Do you want to find the cell phone towers that are already up and running in your area? There’s an easy way to do that. There are a few websites that let you enter your zip code and/or address onto the site. It will show you where the towers are located and, in most cases, which carrier owns each tower. This information comes in handy when you’re installing a cell phone signal booster at your home. A cell phone signal booster won’t turn your home into a cell tower, but it can improve your cell phone service. These devices boost voice as well as 3G, 4G, and LTE data signals, which reduces dropped calls, missed texts, and slow/interrupted data. As long as you can get some signal where you live, you can benefit from a cellular phone signal booster system will improve it. These devices are very easy to install in your home. For a 1,500 square foot area, we recommend the weBoost Home 4G. The weBoost Connect 4G is recommend for boosting multiple devices in a 5,000 square foot area. For coverage up to 7,500 feet, there’s the Connect 4G-X. Want to know the best way to get the right cell phone signal booster for your home? Contact the experts at Solid Signal. They’ll answer any questions you have about these devices and make a product recommendation. Are you ready to improve the cellular service in your home? Call Solid Signal at 877-312-4547.